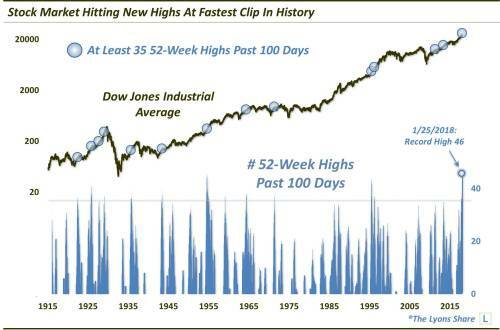 But as Dana Lyons' exposes below, the stock market is scoring new highs at the fastest clip in history. In our habitation within the investment-based social media realm, we have noticed a ongoing discussion between market observers related to the present stock rally. On the one hand, there is a loud chorus from folks (likely many of whom are frustrated non-participants in the rally) pointing out the unusual, and perhaps inorganic, nature of the incessant rally. On the other hand, you have the assured (condescending?) 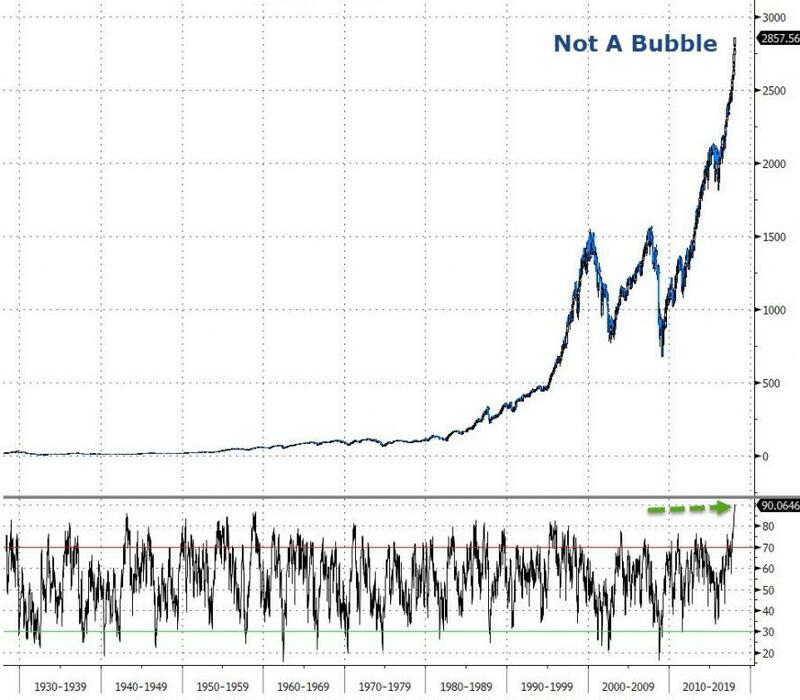 reminders from the other side (i.e., folks “killing it” at the moment) that an upward trajectory is the “normal” course of action for stocks, historically speaking. So which contingent is correct? They both are, to an extent. This week, we take a look at some of the ways in which our current rally is truly unique from a broad historical basis. Today, we note the torrid pace at which the stock market is racking up new 52-week highs. Specifically, the Dow Jones Industrial Average (DJIA) is in the midst of a historic run of new highs. Over the past 100 days, the index has scored no fewer than 46 new 52-week highs. That is the most new highs the DJIA has ever accumulated over a 100-day stretch. This new record surpasses the former mark of 45 set in 1954. And looking back over the last 100-plus years, there have now been just 14 unique occasions with even 35 new highs over a 100-year span. So will the new highs continue from here – or is there nowhere to go but down at this point? Well, we’re not going to pretend that a new high is a bad thing. In fact, it’s about the most bullish thing a security or index can do – no resistance at all-time highs, you know. Furthermore, the momentum often generated by moves to new highs can be a powerful and (at least, temporarily) persisting phenomenon. That is, until the final high of the run. Obviously one high will eventually mark the top and the upward momentum will cease. Are we at that point now? 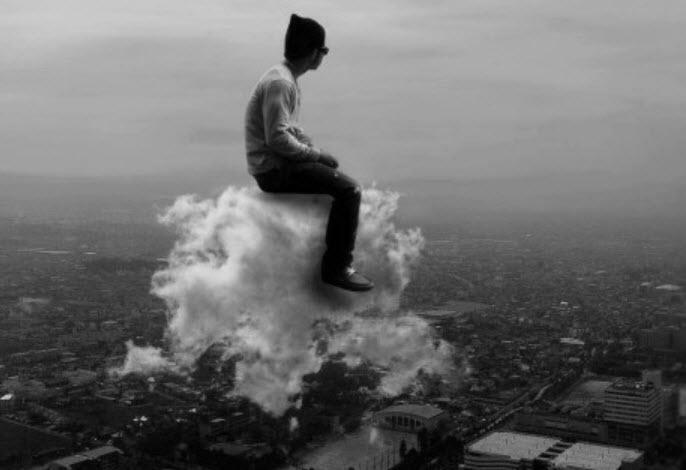 Are stocks going to come crashing back to earth – or can the market continue its levitation act a little longer? In a Premium Post at The Lyons Share, we take a quantitative look at previous prolific streaks of new highs to see what transpired afterward. If you are interested in the Premium version of our charts and research, check out “all-access” service, The Lyons Share. You can follow our investment process and posture every day — including insights into what we’re looking to buy and sell and when. Thanks for reading!